History of Medicine Instruction in Surgery. Five physicians and their colleagues in the surgical amphitheatre of the Massachusetts General Hospital watch as the anesthetist administers ether to a patient who is about to have surgery. This illustration appeared in an 1889 issue of Harper's Weekly . The National Library of Medicine was originally established 150 years ago, in 1836, as the Library of the Army Surgeon General's Office. Perhaps the key event in the library's history occurred in 1865, when Dr. John Shaw Billings became director. 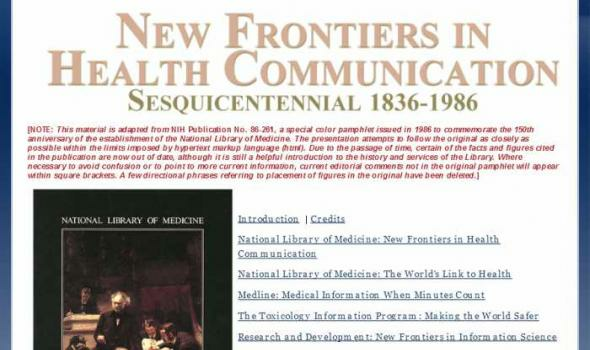 For the next 30 years he worked tirelessly to expand the library's holdings and open it as a source of biomedical information for all physicians.